Last winter, I was in the sub-basement of the library at the University of Minnesota, with two state maps stretching 10 feet across spread out on the table in front of me. One was from the 1990s, the other a century older. Growing up on the Wisconsin border, the Minnesota I knew was nothing but farm fields growing food, interrupted only by the Twin Cities and their suburbs. But the map from the state’s early years showed a different landscape. Back then, carbon-storing forests covered most of Minnesota. Today it’s mostly cornfields with ethanol fuel plants sprouted in between. Farmers used to grow corn and other crops to sell as food for families and livestock, but in the last decade, selling it for ethanol has become too lucrative to refuse. In 2013, thanks largely to surging demand from ethanol plants, U.S. farmers snagged an average of $6.15 per bushel of corn — up from $1.96 in 2005. The federal government has encouraged ethanol use since 1992, but it really took off as an alternative to gasoline in 2005, spurred by the fines and mandates of the newly adopted Renewable Fuels Standard. The current version of the standard requires 36 billion gallons of renewable fuels to be blended with gasoline by 2022, which the U.S. Environmental Protection Agency predicts will be about 7 percent of the total fuel use. Though these policies were well intended at the time, research now shows that the land we’re using to grow plants for biofuels would be better used for crops to feed hundreds of millions of undernourished people around the world. The World Resources Institute, a non-partisan environmental policy group, released a report in January calling for an end to biofuel production. Its argument is that we can no longer spare agricultural land for fuel crops that don’t produce enough energy to justify the investment. Government subsidies aimed at propping up the ethanol industry to make it competitive with gasoline cost more than $20 billion, mostly in the form of federal tax cuts. But it still wasn’t enough to make the renewable fuel worth it. From the time the seeds are planted to the time it burns out of your exhaust pipe, ethanol only converts 0.15 percent of the sun’s radiation into energy. Next generation solar panels, on the other hand, can convert 16 percent of solar radiation into electricity, according to the institute’s report. The fact that ethanol isn’t worth it highlights other options we already have. The best thing about harnessing energy directly from the sun is that we can put solar panels on land that can’t be used for agriculture — in deserts and on top of buildings, for example. And wind turbines can turn in between fields of crops, as they already do in southwestern Minnesota and many other rural areas. We could even confine biofuel crops like switchgrass to roadsides, or backyards. If people are going to insist on staying in the energy-profligate suburbs, we could at least make their valuable land worth something instead of wasting it on the great American lawn. A few decades from now, I imagine filling our world with carbon storing and energy generating opportunities in every crevice, like a patchwork quilt of sustainability. In this world, we’ll cover as much of the land with forests and natural habitat as we can. After that, we’ll use the rest of the space for agriculture, which by then will be even more efficient than it is now (and mostly hydroponic, I hope). Then, we’ll tuck ourselves into densely packed, energy efficient cities. Dutifully organizing our land is the best way to protect it, and ourselves in the process. But we have to make these plans now before we ruin the earth with foolish policies. By 2050, the world population may grow from its current 7.2 billion to 9.5 billion. To keep up, according to the World Resources Institute, we will have to increase crop calories by 70 percent from 2006 levels. That’s a very technical way of putting it, but the way I see it is this: 805 million people go hungry today. If we can’t feed everyone now, how are we going to do it with 2 billion more people at the table? We need land for food, and farmers are willing to cultivate it for us. When I reported on agriculture stories in Minnesota, the farmers I talked to felt pressured into growing crops for biofuels. They wanted to grow food as their families always had, they told me, but the heavily subsidized prices they were getting from ethanol producers were just too good to resist. Let’s stop promoting biofuels as the solution to our energy future, and use that land to grow food instead. Rebecca you should get ahold of me and I’ll explain to you some common misconceptions about the ethanol industry. Also why we can’t raise enough food by using hydrponics due to the population of people we have on earth. I’ll also explain to you how the ethanol industry exports feed to cattle producers. Furthermore I’ll tell you that the amount of land in agricultural production is the same as it was in the 50’s, long before ethanol was around as a transportation fuel. Have a great day! I am sick and tired of these author’s with BIG OIL agendas writing this type of disinformation. Do you want to be SMELLING this foul AIR FOREVER, so some FAT S.O.B. can make a dirty dollar? ETHANOL can be made from about any DEAD PLANT on the PLANET!!!! Also, It can be made from the parts of the PLANT that people DON’T EAT. Give the CORN kernels to PEOPLE, turn the rest of the plant into ETHANOL!!! We could also import the ETHANOL from other countries. We could grow CASSAVA(Tapioca) plants to turn into ETHANOL like they do in AFRICA!!! use little microbes to make it!!! When the auto industry started we were powering our cars on ETHANOL and ELECTRICITY!!!! Time we went back there, add H2 to the mix, and remove all fossil fuels when we are safely down that road. MISCANTHUS is another high ETHANOL yielding crop. Grows in poor soil as well. These authors want to make it look like the only way to make ETHANOL is to take human quality corn right out of our mouths. Human quality corn is NOT used to make ETHANOL. Back when I was a kid, my grandfather had this crazy looking “special” corn in the barn. What is that corn for grandpa? To feed the animals with. You could still make ETHANOL from the parts of the animal CORN plant that the ANIMALS DID NOT EAT!!!! There is no reason we cannot have both food and fuel. The WRI study cited in this article was not written by a scientist but rather a lawyer with an erroneous understanding of the carbon cycle. One of the bigger mistakes in the article is the assumption that we need to feed future population with the same inefficient agricultural practices used in the developing world. This simply is not true. By one estimate, if farmers in the developing world would increase their yield to that of the developed world, we could feed 35 billion people on the land that is being cultivated today — that is 25 billion more people than expected by 2050. Thus, there is more than enough land to grow whatever we need, be it food to eat, fibers to make clothes from, Christmas trees to adorn our homes and clean fuel to power our vehicles. You could not be more wrong in a global assessment. For example Mozambique has over 70 million acres suitable for agriculture while only cultivating little more than 8 million acres. The greatest challenge to cultivation is the lack of liquid fuel. They should grow the liquid fuel needed to mechanize their farming. Crops yields would soar. Your argument and bias contributes to the stagnation of farming growth throughout the undeveloped world where crop production is needed most. Take off your Western blinders and see the world. Everyone misses the real reason ethanol fails. Ethanol engine engineers designed high 114 octane, high compression ratio(16:1) ethanol engines to extract the most energy from ethanol. !0% ethanol, as used(not burned effectively) in my four low 87 octane, low compression ratio(9:1 to 12:1) gasoline engines, loses 8%, 8%, 7% & 5% mpg compared to 100% ethanol-free gasoline(E0). Including the oil needed to produce ethanol, blend it into gasoline, transport it to gas stations, & support the “ethanol in gasoline” industry, much more oil is consumed than ethanol saves, if E0 was burned (efficiently) in gasoline engines only. This is a lie created by oil companies in order to make you buy gasoline. Most of our wheat go’s to cows. And in order to get that cow feed, a chemical is removed from it to make ethanol so the more ethonol, the more food. OIL COMPANIES LIE FOR MONEY. I to believe its not worth the time and effort to fill the pockets of greedy biofuels companies. I’m from Oklahoma where oil and natural gas are a large part of our states economy and a source of hundreds of thousands of jobs. I have recently moved to Minnesota a currently going to school in Minneapolis. 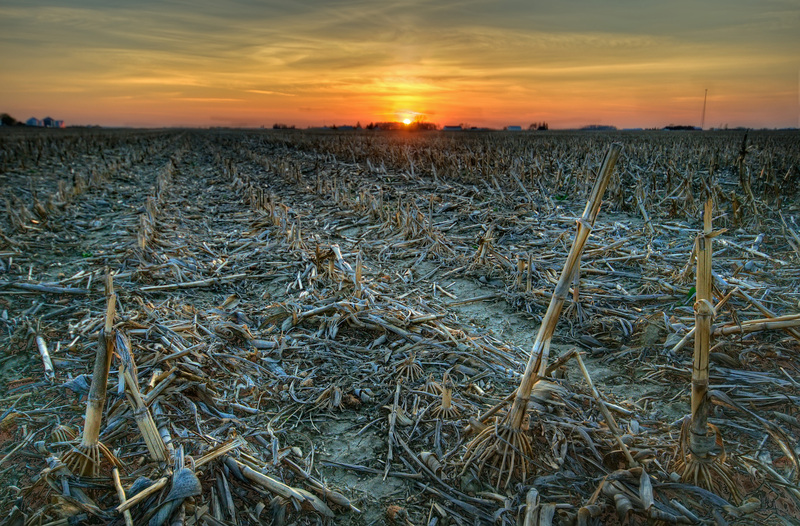 The growing food crisis that plagues this world should be a main priority for all farmers and anyone who wants to help. Making more bio-fuel isn’t going to feed billions of starving and malnourished human beings. I really enjoyed the article.